Sometimes it’s what you can’t see that counts. 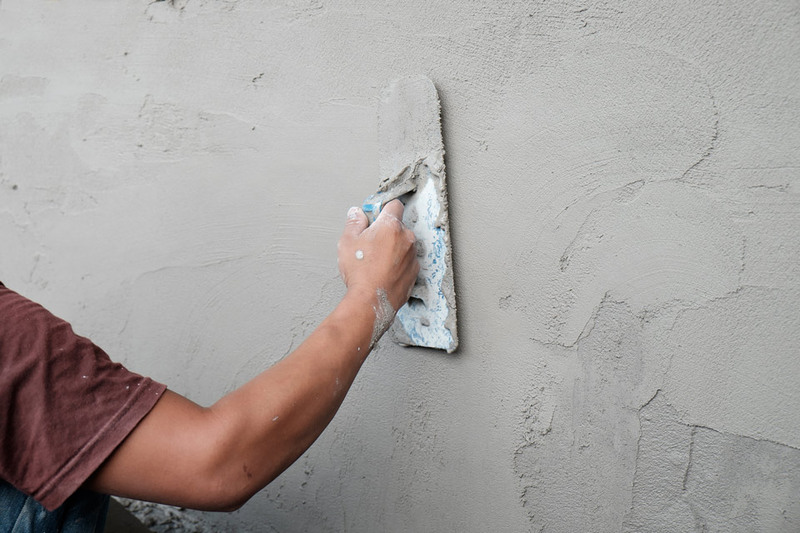 J. E. Drywall has mastered the craft of finishing walls so that they are so smooth and perfect no one knows the craft that went into making them. Watching expert drywall installers is as intriguing as any dance performance. With speed they first cut to fit and hang the dry wall, and then the finishers come in with tape, mud, blades, trowels, and sanders to unite the panels so that the seams are completely disguised, doing all of the above while on stilts. Drywall is a skilled craft that takes years to master. Juan Espinosa began in 2003 and started his own business in 2009 when the owner of the firm he worked for closed his doors, like many veterans of the building trades did when the recession hit. Since then, Espinosa has grown his firm to 12 employees. There is a high-level architectural design in the Sun Valley area, and some architecture is moving toward modern designs that eliminate baseboards and moldings. This development creates challenges for creating clean transitions, especially because the functions of base and case are to hide where material joins. “We are very experienced with minimal designs and kerfed edges. We also finish walls to a Level 5 standard,” comments Espinosa, who has completed many of the Valley’s most complicated designs. Level Five drywall, as defined by the Gypsum Association, is the highest quality smooth wall finish. To accomplish it, workers tape, complete first and second coatings, sand to remove tool marks, add a thin skim coat or other treatment, and finish with more sanding. Conditions like bright side lighting from fixtures or sunshine and high-gloss paints warrant a Level 5 finish. Venetian plaster is a traditional plaster with thousands of years of history. It is a lifetime finish and considered green. The plaster contains marble dust, so it can have the look of polished stone or can be textured when applied. Color is integral to the plaster mixture, so no painting is required. It isn’t applied over drywall, but instead over a lathe framework base, so it is a good choice for curved or irregularly shaped surfaces. Diamond and Imperial plaster finishes are new products for a veneer plaster finish. It’s a hard finish that resists abrasion, and it can be applied over drywall. It comes in many different textures and looks. Since it dries very quickly and requires only two applications, it allows the crews to finish fast. The crews at J. E. Drywall are also skilled painters, so they can complete the interior walls from installation to final finishes. That way, one team stays with the project to ensure the quality and appearance of the interior walls from framing forward. “We not only work on new homes, but we also work on remodels and commercial projects,” says Espinosa. Espinosa’s work can be found and appreciated from the Champion House to the Diamond Back Townhouses at White Clouds. With the work comes a personal commitment to quality. J. E. Drywall guarantees all work, and their attitude “if there are any problems, we fix it,” has earned the respect of the area’s top contractors. J. E. Drywall is available to offer new construction, remodels, and additions premium wall finishes. They are skilled in residential and commercial projects. Call them for drywall installation, plaster, painting, acoustical ceilings, and specialty work like fabric ceilings.